Copyright © Lavender Belle. Images used with permission. 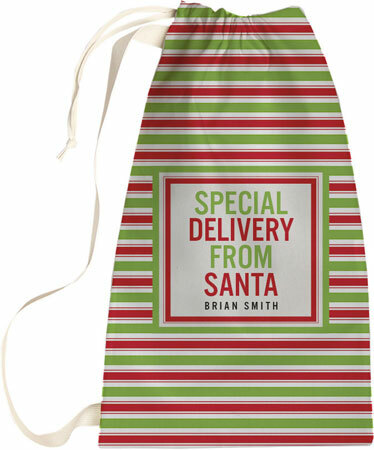 Personalized Santa Bag for Kids on Christmas Day. This Santa Sack makes a great keepsake. This handmade bag is a great place for Father Christmas to store his presents. The sack print is imprinted into the fabric (printed on both sides) with your child's name. All over print, grommet openings for drawstring, cinch closure, and woven shoulder strap.